Being careless with God’s word can cause people to drift away. This is why I am opposed to the doctrine of inclusion for it distorts and twists scripture and, as a result, some have drifted away. Luke 7:50 “Jesus said to the woman, ‘Your faith has saved you; go in peace.’” Inclusionism: “That must be a mistake since it’s the faith of Jesus that saves us. Anyway, the woman was only sort of saved.” See next point. John 5:24 “I tell you the truth, whoever hears my word and believes… has crossed over from death to life.” Inclusionism: “Since humanity was co-resurrected with Christ, all have crossed over to life whether they believe it or not.” Jesus said the unbeliever remains under condemnation and death (serious words! ), but inclusionism says that’s just an illusion (not so serious really). John 5:40 “Come to me to have life.” The gospel that Jesus and the apostles preached came with sweet invitations (Matthew 11:28, 19:14, 6:37, 44, 65, 7:37; Acts 3:19, 20:21, 26:20). Inclusionism, in contrast, tells the unbeliever, “You are already in a relationship with Christ, you just don’t know it.” Jesus woos us with love, but inclusionism preaches involuntary union. Romans 6:3 “Don’t you know that all of us who were baptized into Christ Jesus were baptized into his death?” Inclusionism: “This is describing everyone since all were included or baptized into Christ’s death on the cross.” Yet the apostles found some who had not been baptized into Christ (see Act 10:48, 19:5). They were excluded. In contrast, the gospel of Jesus Christ is revealed on every page and in every book in the Bible. That gospel is the divine announcement that God loves every single one of us, holds nothing against us, and draws us to himself through his Son Jesus. The gospel is the stunning announcement that God loves you like a Father – unconditionally, deeply, wildly. Those who respond to his overtures of love will never be turned away. To embrace inclusionism one must either ignore large chunks of the Bible or rewrite it. I suggest we hold to scripture and dismiss the counterfeit. Help keep E2R ad-free by supporting us via our Patreon page. Hi Paul, I am trying to understand some thing’s I’ve heard without the titles or theological words for it. I think some are saying they believe everyone is included, but you still need to realize it and accept it to have salvation and live that kingdom life. I’ve heard the example you have a whole bunch of money in the bank but if you don’t realize it, you can’t draw on it so you live as a pauper. Relating to being “included” but not knowing it. What do you think about that kind of teaching? The money in the bank metaphor illustrates the great and glorious gift that God has given us. Ephesians 2:8 says every blessing is ours in Christ Jesus and 2 Peter 1 says God has given us everything we need for life and godliness and this provision comes to us through knowing Christ. This is the gospel of grace! Grace says there is nothing you need that hasn’t already been provided at the cross. Our part is to believe the good news. I thought the book was fairly conservative. I tried to paste an excerpt from it in here but couldn’t get it to work. These scriptures plainly describe the life we have in Christ. We did indeed die with him, were buried, made alive, resurrected, etc. This is the gospel of Jesus Christ and it is true for all who have been included in Christ and made new. When did this happen? I gave you Paul’s answer above. Here is Jesus’ answer: “I tell you the truth, whoever hears my word and believes… has crossed over from death to life” (John 5:24). Jesus and Paul say the same thing. Inclusionism says something different. Awesome, I think I get it now! Thanks so much! But doesn’t the person who believes, find out that it was done for them the whole time? Yes – this is what the gospel teaches, that Christ’s work is a finished work and that everything you need has been provided. Everything you need is found in Christ. However, inclusionism goes in another direction and says everything you need you already possess, which contradicts the gospel. As someone once said, those who have Christ have everything; those without Christ have nothing. I didn’t get through the whole book but Charles Spurgeon wrote it. I think it’s called “All of Grace” . He talks about not even letting believing become an obstacle since Christ provides that also. At least that’s what Romans 12:3 states. I guess you could say I’m taking the belief/faith I’ve been given and using that to believe the gospel for lack of a better word versus wasting it and not believing what Jesus says, Paul et al. Do you think what I’ve said is the same thing as inclusionism? Thank you Paul for doing this. It so very important to have this information, given the current climate among “grace” teachers. That’s inclusion 101. Anything less than that says that we must DO something to earn our reconciliation. We’ve ALL been reconciled BY Him, apart from our works, the question is: will we partake in that reality? Or will we continue to believe a lie? Thanks for your comment Dylan. Space limits me from digging deeper, but the context of reconciliation in 2 Cor 5 is this: “God was reconciling the world to himself in Christ, not counting men’s sins against them.” The gospel declares that Jesus has done away with all our sins – past, present, and future. God is not in the sin-counting business for love keeps no record of wrongs. This is very good news! But it takes two to tango. You are not reconciled unless you choose to be. From God’s side there is no barrier, but unless we respond positively to his overtures of love, there is no reconciliation. More here. I will also say: I think that it’s healthy to believe in a universal act on the cross (an act that effected the entire human race, whether they know it or not), which to me is the foundation of inclusion. If not, I think it’s easy to fall into a Limited atonement mindset, which to me, is an extremely dangerous teaching. Far more dangerous than inclusion. That is the foundation of the gospel: “He is the propitiation for our sins; and not for ours only, but also for the whole world” (1 John 2:2). Jesus is the lamb of God who takes away the sins of the world. As I say, if inclusionism appeals it is because it borrows from the gospel of grace. I love the grace bits; it’s the additives that ruin it. Inclusionism is something that puzzles me no end. I had never heard of it before I came to this blog. Does inclusionism teach that all are going to receive salvation irrespective of whether they know Christ or not? Some commenters on this blog appeared to suggest that Hindus, Buddhists, etc are all saved because God is not going to keep people out of heaven based on “an accident of birth”. Paul- so “World” in “reconciliation of the WORLD” (2 Cor 5;19) doesn’t mean every single human in the WORLD here ?? BUT elsewhere (namely I john 2:2 and John 3:16) DOES mean every single human in the world? REALLY? Your hermeneutic depends upon if it fits in with your systematic theology ?? You don’t get to define the term “world” in one verse one way and in another verse another way my friend. “World” in redemptive terms ALWAYS means “all the believers or all the elect ” in the world . Otherwise the inclusionist is right- God HAS RECONCILED THE WORLD in Christ (every human) . As far as I know “world” means everyone. God loves the whole world (everyone). Jesus died for the whole world (everyone). God was in Christ reconciling the whole world (everyone). That doesn’t mean all are reconciled because some choose not to be. It simply means God is no longer counting anyone’s sins against them: “that God was reconciling the world to himself in Christ, not counting men’s sins against them” (2 Cor 5:19). it gets confusing sometimes………………….a simple way for them to put it is…….”YOUR SAVED WEATHER YOU LIKE IT OR NOT”. Thanks Paul, this one really opened my eyes. I hadn’t sold out to inclusionism but I had been really looking into it. These scriptures absolutely put that kind of theology to rest. Thanks for sending this out. Inclusionism basically says, you dont need Jesus Christ,when you look critically at their claims or theories if im allowed to use that. “For God so loved the world that he sent his only begotten son that whosoever believeth in him shall not die but have everlasting life.”-John 3:16. Even though God loves the world, even though Jesus came to reconcile sinners to himself, even though he was deliverd for our offenses and raised for our justification, you can only partake of it if you believe, if you are born of water and the spirit-John 3:3-5. There must be acceptance, acknowledgement of the substitutionary work he did and then alignment and agreement with it. Hope ive not suceeded in confusing anyone but what im just trying to saying in a nutshell is that inclusionism doctrine is from hell, it is directly opposed to the word of God! It aims to use comfort to redirect pple from the narrow way to the broad way that leads to death and destruction. God loves us, but you must receive him. 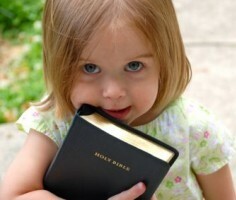 To them that believe, he gave power to become sons and daughters of God. Im sorry, inclusion teachers, if you dont believe, if you are not born again, you are not his son and you may never get to heaven if you dont repent. Inclusionism is a spirit of antichrist- John warned us of it! Inclusionism puts the cart before the horse! It can never work. Our God will help us. To say that inclusion is the anti-christ is somewhat of a stretch. It seems like you may be mixing up inclusion with Unitarian universalism (a religion that doesn’t depend on Christs work). Inclusionists DO in fact depend wholeheartedly on Christ. And I would even say most inclusionist just overemphasize Jesus’ inclusion of all. Think about it: Do you believe that Jesus includes everyone? That no one is rejected by Him? I hope you’d say yes! That in a nutshell IS inclusion. It’s just inclusionists take a few steps further. I understand that most inclusionists seem to downplay faith, but in fact, inclusionists believe strongly in faith. It’s just that inclusionists believe that faith comes from hearing the Gospel, NOT from someone shoving the importance of faith down your throat. I humbly agree that inclustonists have failed in mentioning faith, but it’s only because inclustonists believe that the message PRODUCES and SUPPLIES faith; it does NOT DEMAND faith. But trust me: Inclusionists are NOT the anti-christ. We love Jesus a lot. And we believe He’s are substitute, friend, example, and the One who loves all of mankind. I love your open-heartedness. And Im praying that the same Jesus which you profess ( or rather think you profess) galatians 4:9a(But now, after that ye have known God, or rather are known of God,…)will touch you through this forum. Thanks Paul for this opportunity. Im so sure that many souls are being redirected from hell to heaven on account of this post. Is that the hell (hades ) jesus throws into the lake of fire and destroys and death is no more? Is it God’s character to force Himself on people? Save them when they don’t want to be saved. Force them to be with him? It can’t be that you believe nobody would choose to be separated from God if they really knew the reality. People make choices contrary to what’s good for them all the time. People smoke, drink, cheat on their spouses, take drugs when all evidence to the contrary tells them not to, tells them it is damaging. They want to decide. Does God force? Is it His intention to do away with freewill? Regular guy – It would be nice to think everyone could be saved, but some actually don’t want that. Some people hate God. It’s not that they are ignorant – they oppose him and hate what he stands for. There is so much we don’t know or understand, and so much i would like to believe of God, but in the end, i trust Him. i have seen Christ die on a cross for me, and he paid a high price for me. It’s not up to me to squabble over the details. We hope that God’s plan is bigger than our minds can understand, and i believe that to be so. In the end its our faith in him that saves us, not the doctrines we believe, but they sure do help us to understand that love that he poured out on all humanity on the cross. For God so Loved the World that He gave His only begotten Son, that whosever would believe in Him would not perish but have everlasting life. Love never gives up, never loses faith, is always hopeful, and endures through … Love bears all things, believes all things, hopes all things, endures all things. God is Love. You wanna be blown away? Reread I Corinthians 13 replacing the word “love” with “God”. There are many not given the chance to believe, the young not old enough yet to understand such things, folks in areas of the world where the gospel is not preached, etc. I believe God has a way for them even if it is in the resurrection. At the same time, I believe there are those that have fully understood the gospel during their lifetime and rejected it in which case they are excluding themselves on purpose. I look forward to your knowledgeable reply to these thoughts. Thanks Paul, I’ve just finished writing a short study on the Predestination debate and so touched on the Inclusionist / Universalist issue as well, wish I had these comments before hand, very helpful. Paul, thanks for putting this together. As I read it, I realized even more that the true problem is not so much the presence of the Inclusionism doctrine as it is the absence of true biblical truth. When we regard the teachings of men more than God’s clear teaching, bad stuff happens. Paul, whatever doctrine you hold is no better than the others, you are like the pharisee who was pointing his fingers to the tax collector, if you really understand Grace, you wont have this kind of writings. He’s NOT like the Pharisees. Were the apostles like the Pharisees? Remember they told a man to stop using the name of Jesus because he doesn’t follow us? Remember they said do you want us to call fire down from heaven and destroy them like Elijah? do you remember when Peter would eat with Jews and exclude the Gentiles and Paul had to confront him? Were they like the Pharisees? I don’t think so. No one has perfect theology. Paul Ellis and many of us here look to Jesus. I hope you do too. you sound like the people I know who lie this inclusion “stuff” because they don’t have to change their evil ways and if they are racist (of any color) they don’t have to change. If they are involved with adultry with let us say your husband or wife God is “OK” with it. I can be the vilest most retched, evil contempable person alive and I am still included even though I will never change from my evilness. “Inclusion appeals to some because it comes wrapped in borrowed ribbons of grace. But don’t be fooled” – excellent. There is a war against grace and these sort of doctrines are giving Grace a bad name. From my Facebook conversations it seems some are using grace as an excuse even to challenge the authority of scripture. The revelation of Jesus Christ 22:19 refutes without doubt any false doctrine. Inclusionisim is self defeating, I reject it , but if I reject it then according to 22:19 I am not included ???? No more inclusion !!! And the flip side should make any inclusionist think very carefully. It is not simply a false doctrine, it could be the very death it is trying to deny, a part of the original lie, you shall surely not die, and not from the pit of hell or whatever you wish to call it, but the birth of it. I hate death, I love the dead , Jesus died so God could love the dead and raise them to life and become their God. He is the God of the living and not the dead.God could only love sin or death in his Son.This is what saves us union or perfect unity with Gods Son.You were dead and now are, not will be ressurected, you are alive , not living 50 or 60 or 100 or a million years no you are really alive.When you see him you will be like him.Jesus is the only way to life.hallways was , hallways will be. And we were always included because God is outside death or time and allways knew everyone of his children, the universe was created for them. Paul, thank you for taking time to discuss this so thoroughly! Inclusionism is another vain imagination. We have a choice: 1. Inclusionism is a doctrine that make one drunk with false security. 2. Jesus is a living Savior and faith in Him will make us fully alive to His love. We will be awake to the passion of the Father to gather His children. We will get that our Bridegroom is coming for His Bride dressed in white. We will be comforted that we are dressed in His righteousness. The Holy Spirit causes it all to make sense. One just has to let go of fear and climb into the ark of His true love. There is only one name under heaven by which men can be saved and that name is not Inclusionism. Paul,..thank you for your gracious,reasoned, fair and scriptural study of Grace vs. Inclusionism. Will re-read your books as part of my New Year devotional plan. Blessings. Thanks so much Paul for boldness and courage to proclaim truth. Jude said we should contend for the faith. The legalist want to mix law and works and create a performance based faith. So we contend for grace without mixture. 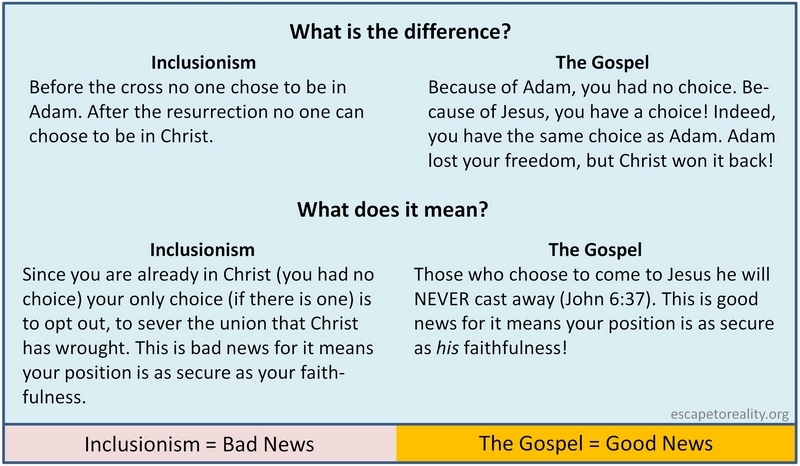 Inclusionism wants to “hijack” the gospel of grace to promote an idea or philosophy that has been around for a long time. Before even men like Joseph Prince ever had a international voice and began proclaiming the gospel of grace. So we contend for faith and grace. By grace alone through faith alone in Christ Jesus alone! I recommend researching joseph prince before you use him as an example. He is no inclusionist. I get this, and I agree, Paul. I’d just like to add though — to clarify, since there’s been a lot of discussion of this post at the Evangelical Universalist site — must believers in the universal reconciliation of the world to the Father through Christ by the ministry of the Spirit (that is Trinitarian Christian universalists) are NOT in fact inclusionists. We typically believe that all people will eventually come to the Father — not that all people are automatically reconciled. To be reconciled, you have to be willing to be reconciled. We simply believe that God never gives up on anyone, and that He eventually will succeed/has succeeded. Even most Preterist or Calvinistic universalists believe there is a point at which the sin nature of the rebellious is burned away or otherwise destroyed (as the sinner rejoices, or in the case of the Calvs, whether or not the sinner rejoices). In fact, I know a LOT of Christian universalists, and I don’t think I know any “inclusionists” at all. Whether you were thinking about Christian universalists or not when you wrote this, some folks will associate us with this “inclusionist” belief. If they do, they are for the most part mistaken. That is not what we believe. No, I wasn’t thinking about universalism when I wrote this. Thanks for the clarification! Not being theologically knowledgeable, I don’t think I fully understood the difference between the two belief systems. Now that I do, I fully agree in the false teaching of inclusivism. Thanks for bringing up these important concepts. Hi Paul, I love this post but I for one I believe in inclusion but in another sense that’s different from what inclusionism says. I believe Jesus saved, healed, delivered, redeemed, reconciled and justified everybody BUT not everybody believes what He’s done hence not everybody is saved, healed, delivered, redeemed, reconciled and justified. I believe that out faith doesn’t make Jesus do any of these again but out faith in Him regarding any of these helps us to appropriate what He’s done. I believe sinners are saved but they have to believe that before they can come to the light of it. Concerning Holy Spirit coming upon people, I believe the Holy Spirit in me is the same Holy Spirit with me and it doesn’t matter to me where He comes from, whether from heaven upon me or from within me upon me at least He said from within me this Holy Spirit shall flow, that’s manifest. I believe in inclusion but with different mentality. which is precisely what Trinitarian inclusionism teaches which means its inclusionism…. Amen to this post! The gospel is so much better than man made doctrine. Hi Paul, thanks for the article. I agree with almost everything you have written and particularly the main point that salvation is not “forced” on anyone irrespective of the their will or beliefs, but that it is available to all based on the goodness and love of God and the grace and work of our Lord Jesus Christ. I was included when I heard the message and believed. Included in what? Did Christ die again at the point I believed, or was my death in Christ something that was included in him when he died at one point in history. Watchman Nee would say that the reason we can “reckon” and identify ourselves with Christ’s death is it is true because we were included in Christ’s death. And this was in the same way that we were included in Adam’s sin, I.e. The falleness of Adam marked all of humanity that followed him. And in the same way the author of Hebrews says that Levi offered tithes to Melchizedek whilst in the loins of Adam. Nevertheless, Watchman Nee would still end up at the same end point as you do in terms of salvation and faith in Christ, etc. …Did Christ die again at the point I believed? 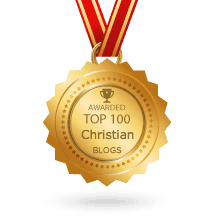 Did I die apart from Christ’s historical death at the point I believed? Or was my death in Christ something that was included in him when he died at one point in history? Now, I’m not sure if Watchman Nee think that Christ died “as all” or “as all in Christ”. But I guess that I can more safely say this. As with us in Adam and as with Levi in Abraham – so in the same way, all those in the new creation lineage of Christ (not in any limited atonement sense) – i.e. all those “in Christ” – were included in his historical death; it is not that they undergo a death on an individual by individual basis, but that because died, we died also. If so, then in this sense, Christ died “as all in Christ”, not simple “as one of us”. Paul,i think the scriptures you presented adequately “debunk” inclusionism.I can see how some may get confused by scriptures that include all men,but with any serious study of the Word,one can see inclusionism is false.There are aspects of Salvation that include all men..redemption,reconciliation,propitiation.A ransom has been made,mens sins are not counted against them,a perfect sacrifice meeting Gods every demand provided. But these do not save all men…they make all men saveable. As you so clearly point out,men are included in Christ when they believe.Other aspects of Salvation such as justification,sanctification,and regeneration, in no way include all men,but belong only to those who believed and are saved. It seems to me that inclusionism excuses or dis misses the condemning sin of unbelief,as if God sacrifced his Son so that even rejection of that is forgiven. Why send him at all! Anyhow,thank you for a very clear article on this subject. While men are saved WHEN they believe and THROUGH believing they are not saved BY BELIEVING. Teaching that men are saved BY BELIEVING makes believing just another works based mixture gospel. When the NT authors speak of salvation (justification, forgiveness and propitiation etc) by faith they are not teaching faith or believing as the means by which we are saved. Jesus grace (His person, blood, work, righteousness and name) is the ONLY means by which we are saved. Faith (believing) are mere by products and divine gifts that come by Jesus grace to those who are called. What part of “this not from ourselves ” don’t we understand??? Inclsionisim in nothing more than security in security. So I’m guessing the “inclusion doctrine” would lead a person to tell unsaved people that they already saved and they just need to believe it now??? Jesus died for all, meaning all are welcome, but unless they confess Jesus as Lord with their mouth and believe in their heart that God raised Him from the dead they will not be saved, right? I’ve wanted to get a better understanding of the Scripture that says “many are called but few are chosen”. From what I understand, many does not mean all. Who and or what is that talking about??? Does it have anything to do with the “all are welcome”? Are there people who are not called but still welcome? Hope you can help clarify this for me. And who are the people who are not called??? Are there people on the earth who have no chance of being saved for any reason??? Because we know from Scripture that very few find the narrow path that leads to life. Does God not pursue everyone? Because I’ve heard it said that God pursued me before I ever thought about pursuing Him. Thank you 🙂 I learn so much from reading your articles and I appreciate them. Paul, I love how God uses you to display his wisdom through the art of language! I may not always be able to speak it as you do, however, I’m just thankful I get to read it! I’m always amazed at the fresh anointing of love that puts Jesus always at the center! 1 John 2:2 and He Himself is the propitiation for our sins; and not for ours only, but also for those of the whole world. 1 Tim 2:5-6 For there is one God, and one mediator also between God and men, the man Christ Jesus, who gave Himself as a ransom for all, the testimony borne at the proper time. 1 Tim 4:10 For it is for this we labor and strive, because we have fixed our hope on the living God, who is the Savior of all men, especially of believers. See also: John 1:29; 2 Cor 5:18-19; Col 1:20; Phil 3:21; Rom 6:10; Heb 2:9; Heb 7:27; Heb 9:12; Heb 10:10; and, 1 Pet 3:18. You said, “Since “all are in Christ,” everyone is now reconciled, justified, sanctified, and filled with the Holy Spirit whether they believe it or not”. To believe it—belief must be granted (Phil 1:29)—and, to have faith—faith is a gift (Eph 2:8). IF those Scriptures are true, THEN we find ourselves faced with “man’s free will vs. a Sovereign God”. When you hold to Limited Atonement/Particular Redemption theories you are putting limits on Almighty God—I don’t want to go there…. Universal atonement and inclusionism are distinct. Universal love and grace are at the heart of the gospel of Jesus Christ. “The grace of God that brings salvation has appeared to all people.” As I say elsewhere, grace is inclusive, but inclusionism is not grace. None of the scriptures you listed even remotely suggests that mankind was included in Christ’s resurrection and ascension. However, there are at least 50 scriptures that make the opposite claim (see above). When I read this I was reminded of two things. One was that under the Siniatic legislation the only person who could legally do any work on the Sabbath was the Priest. That hasn’t changed under the New Covenant -only Jesus is allowed to work for us, in us and through us from the beginning of our Sabbath salvation rest until the very end of it. The other thing that came to mind is that Sabbath in the Torah was not about sitting idle and NOT working. Sabbath was about NOT DOING YOUR OWN THING but doing GODS THINGS! Lee, you asked a question but it sounds like your mind is already made mind up. I noticed that my contribution was heavily edited. Just want to know if it was because it was too long, not true, confusing or controversial? Hi Julienne, I don’t know sorry. I don’t read half the comments that get submitted. If they’re long or otherwise violate E2R’s comment policy (eg: by having advertising) they either get deleted unread or chopped after the first paragraph. There are so many comments these days and we don’t have staff to edit them. Ok. No problem. After writing you yesterday, I went to your full website and read the comment policy. It might have been chopped of because it was long or a few bible verses even tho they were not quoted. But definitely not links or adverts because i dont do any business except Christ’s. I just thought that grace should have been extended to me by gently warning me about the policy because the truth is most of us found this gracious blog by searching for the truth not that we went to your full website. I hope the few staff you have are also grace champions. I just noticed that serious editing and absence of two of my contributions one on the latest post and the previous one. God’s grace is sufficient for me to go through this. And well done still. The Lord will continue to increase your wisdom. Yes, I know my mind—I want to understand yours concerning my question(s). I believe at the heart of this discussion we will find that Free Will plays a role in whether or not the unbeliever has salvation. Your Scriptures cited above leave the unbeliever to HEAR and then choose. In an other post I said—and I’ll say it again—the natural man has NO ABILITY to choose in Spiritual matters until God regenerates the unbeliever—and, IF regenerated, THEN he has eternal life. Some say once regenerated the new creature in Christ can reject salvation. That would be stupid and God’s sanctifying grace won’t allow it…. Yes, I believe in freedom for the simple reason that God is love. There can be no love without the freedom to reject it. Wow this is a fascinating subject. I agree with mist of it but was just wondering- How is this topic relevant beyond the obvious fact that it kills evangelism and basically makes the apostles suffering and martyrdom completely unnecesary since they all suffered and died for preaching the gospel so the elect could believe and be saved? (For this reason I endure all things for the sake of those who are chosen, so that they also may obtain the salvation which is in Christ Jesus and with it eternal glory. (‭2 Timothy‬ ‭2‬:‭10‬ NASB) Someone commented on this post inclusionist lost – since he seems to believe that Jesus died for HIMSELF? So the biggest problem then with inclusionism is that it kills evangelism – which is GODS ONLY MEANS IF SAVING THE ELECT!